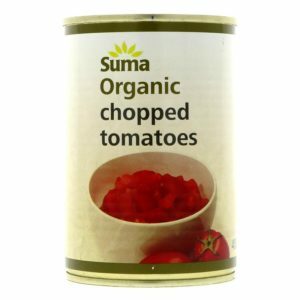 View cart “Suma Organic Chopped Tomatoes 400g” has been added to your cart. Juicy sultanas, dates, cranberries and apple for natural sweetness. topped with energy boosting wholegrain oats, flakes and seeds. with a smattering of hazelnuts and almonds for added crunch. Gluten free, organic and vegan. 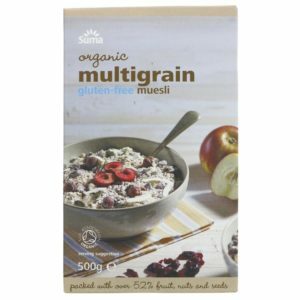 Oh and just really tasty - we have tried lots of gluten free vegan muesli and this one is definitely our favourite with a little going a long way since it is both tasty and filling! 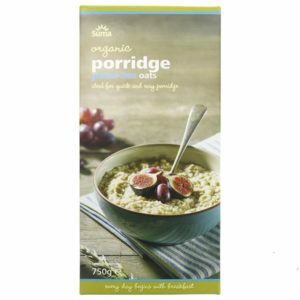 Ideal for a breakfast cereal, adding to baking or as a very enjoyable snack! 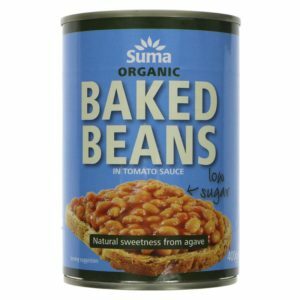 These tasty beans are made to a special recipe, including rich Italian tomatoes and onions with a hint of black pepper. And as you'd expect, no artificial ingredients whatsoever. A classic breakfast choice and ideal on a baked spud! 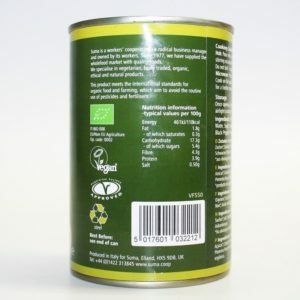 For creative cooks - a really interesting and unusual addition to our range of organic canned pulses. 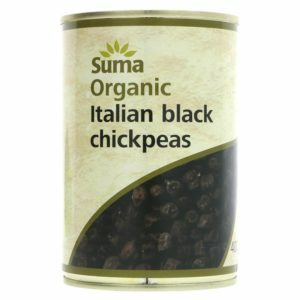 Surprise your taste buds with the nutty flavour of these fantastic 'black' chickpeas from southern Italy. Makes a fantastic houmous! No added sugar, salt or skin hardeners. This product is Organic and is Vegan. 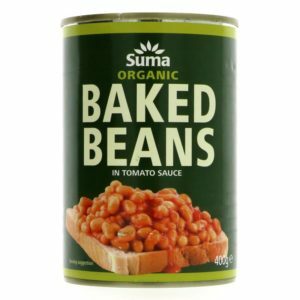 Suma have packed their new stock powder full of vegetables, herbs and spices so that it is full of flavour, and they don't add anything artificial. This bouillon lifts and adds depth to all soups, stews, casseroles, risottos, sauces and gravies. Use it as a simple seasoning for couscous, quinoa, rice and other grain dishes, or sprinkled into a dhal, or on top of roasting vegetables. 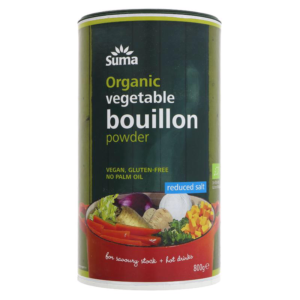 The whole of Suma’s bouillon range is organic, vegan, gluten-free and contains no palm oil. This one is a reduced salt version. This product is Gluten-free, is Organic and is Vegan. 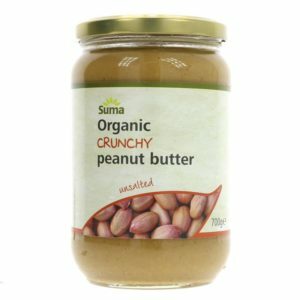 Suma organic gluten free oats have been grown and harvested in the rich agricultural lands of Scotland. Powered by an ancient waterwheel and milled using age-old traditional methods, the oats develop a wonderful nutty flavour. Ideal for making flapjacks, adding to smoothies or making tasty quick and easy porridge!